Beautiful video about the discovery, creation, basics about Max Huber and Crème de la Mer and the results, with subtitles in Italian. View the video without the subtitles on lamer.com. Watch more Crème de la Mer videos. Also See Spa la La Mer. 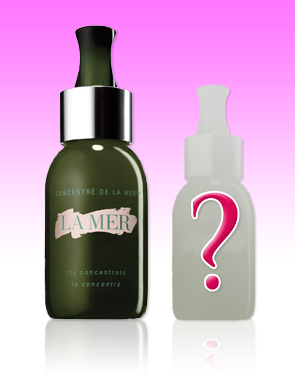 Crème de la Mer is expanding their quarterly facials at luxury locations to now, also, in-store La Mer facials. In the past al La Mer facials were offered only at a Luxury location or spa, like the Banksia Boutique Hotel, with a nominal booking fee, like they did for the Crème de la Mer Master Class. Both treatments are very similar, you just have to look at your schedule and decide which bests suits your wants. 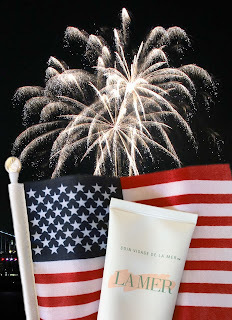 The in-store facial made me feel like I was being taken to a VIP back room in store, not as spacious, and the La Mer expert gave the same personalized treatment either way (no foot spa in-store though). Relaxing ocean music plays softly in the background as you get treated to all the La Mer products on your face, arms, and hands. You begin with a breath of The Mist , to aid in relaxing and prepare for your facial. La Mer, the most coveted cream in the world, originates from a rare sea kelp in the depths of the sparkling waters off the Californian coast. 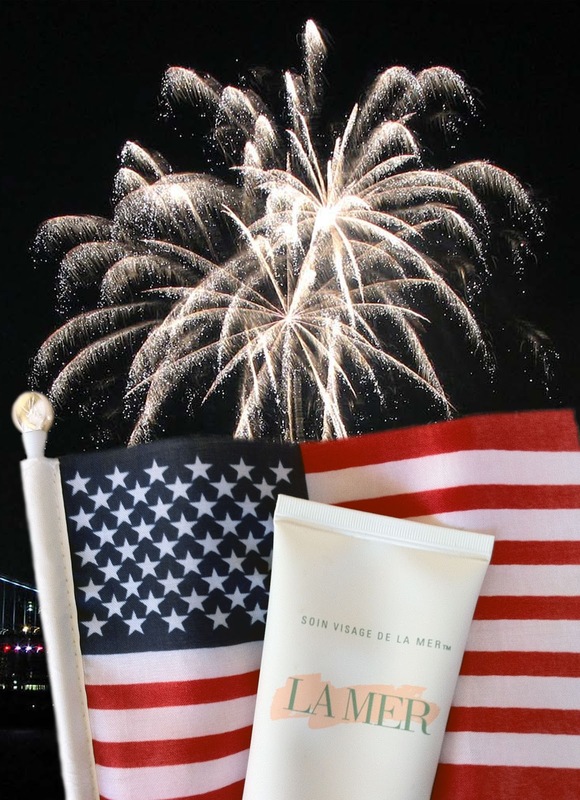 Crème de la Mer is star studded, like our fireworks this evening, from the glowing skin of Hollywood stars, to the diamond dust in The Refining Facial and The Body Refiner , we proudly celebrate Independence Day, glowing and sparkling with flawless skin, Star-spanlged!